This article originally appeared on the opinion page of the Star-Ledger on Sept. 4, 2013. President Obama’s Sandy Rebuilding Task Force Strategy, released this week, contained a range of recommendations that will help the region to rebuild most effectively after the devastation of Hurricane Sandy. The core message from the Task Force: Let’s not just rebuild, let’s rebuild smarter. 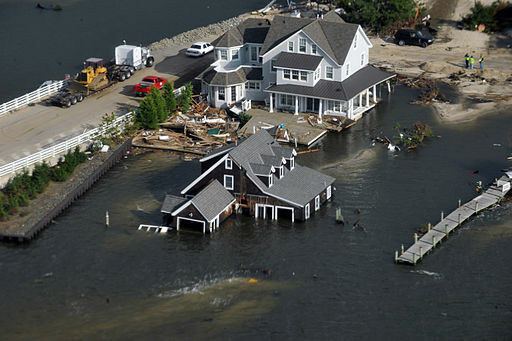 The magnitude of the nearly $25 billion federal Sandy rebuilding aid package allocated to New Jersey offers the state an opportunity to lead the way for how rebuilding can happen both quickly and responsibly. 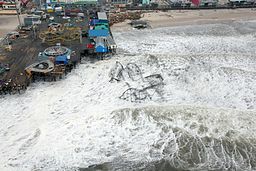 Of all 69 recommendations contained in the report, there is one that underlies most of the others and is essential to ensuring the increased safety of people and property, and the responsible use of federal rebuilding aid: the incorporation of projected sea level rise into decision-making. Rutgers Dept. 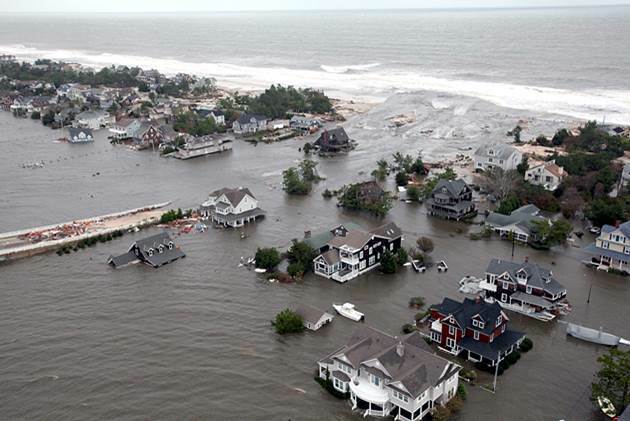 of Environmental Sciences’ best-estimate projections say that sea levels along the New Jersey coast will rise approximately 16 inches by 2050, and 38 inches by 2100, putting a significant percentage of our residents, businesses, public facilities and housing stock at risk. It is scientific data such as this that should inform everything from determining residential building elevations to making buyout decisions to identifying where infrastructure investments, community facilities, evacuation routes, etc., will be at risk in the future. Yet FEMA’s Base Flood Elevation (BFE) maps, released this summer, take no account of this. Even by adhering to the recommended “BFE+1 foot” rebuilding standard, we are only affording short-term protection. Stay focused on the long term. In order to get the maximum return from the federal investment in rebuilding, our decisions now must acknowledge potential events many years from now. Homes are built on the assumption that they will be there far into the future. Incorporating projected sea level rise, as recommended by the report, is the best way of safeguarding our communities. Make available clear, localized scientific data. 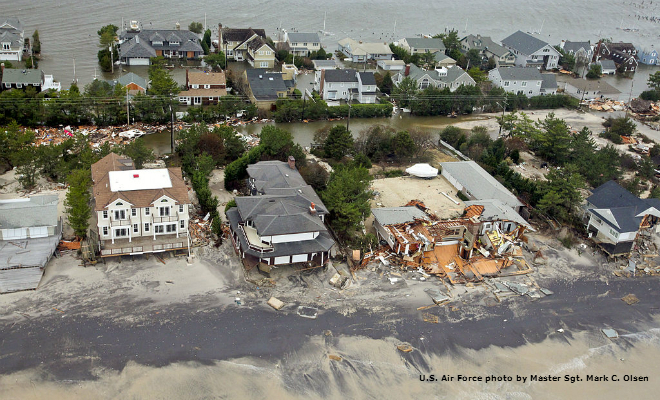 Decision-makers at all levels, especially in communities hardest-hit by Sandy, need easily accessible, understandable and reliable information on the risks they face, in order to make fully informed decisions about what locations make sense for development and infrastructure, which areas need special protections and where parks and natural areas afford the greatest resilience. Develop robust hazard mitigation plans. The Christie administration last week announced the availability of almost $3 million in federal Sandy rebuilding funds to enable counties to update their hazard mitigation plans. In order to be most effective, these plans will need to adjust their focus from primarily emergency response to a more forward-looking orientation, identifying areas at risk well into the future. Using projections for sea-level rise gives them an objective basis for doing that. Invest in infrastructure upgrades. 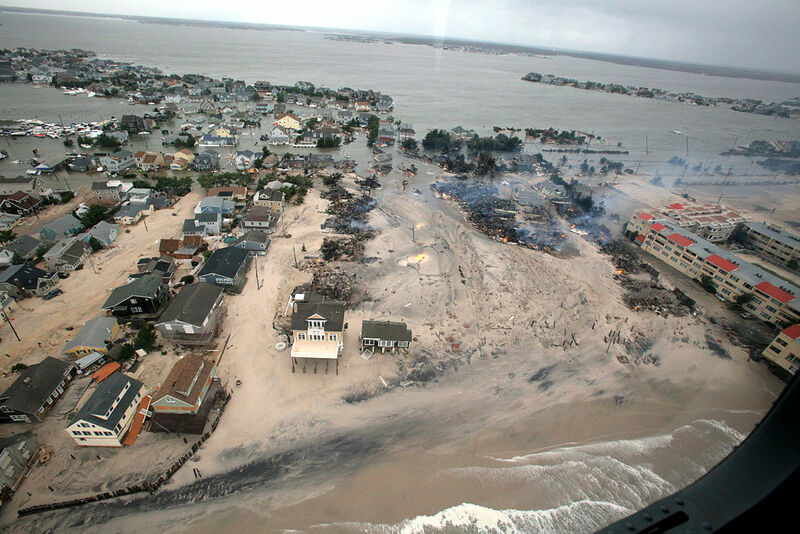 Hurricane Sandy exposed the shortcomings of New Jersey’s infrastructure. Local and state agencies, water companies and power utility companies planning infrastructure investments need to think about how long various facilities will last. For example, water pipes last between 50 and 100 years; bridges need maintenance after 50 years. The plan for the next round of federal Sandy rebuilding funds will focus heavily on infrastructure. By incorporating sea level rise projections over the appropriate long-range planning horizon, community planners, developers and engineers using these funds can help upgrade New Jersey’s critical infrastructure to a far more resilient level. The Christie administration has not yet indicated how it will assess risks and whether it will include sea level rise projections. But if it does so it will show that by making smart, long-term planning decisions, New Jersey can prove that it’s possible to save the American taxpayer money – by preventing the need for more federal aid when the next big storm strikes. We can use this unparalleled opportunity to become a national model for innovative disaster recovery solutions. Now is the time to get smarter than the storm. I am finishing month ten of Sandy recovery work in New Jersey. I am a consultant to the hazard mitigation-elevation industry and am home based in Louisiana. Our industry is grappling with the idea of how to get New Jersey hazard mitigated/elevated or relocated when there appear to be hundreds of thousands of buildings that do not even meet the current base flood elevation requirements. We will keep working at this issue one building at a time.